This and a number of other pictures are of a range of 1:64th Scale American Truck Models produced by Hartoy Inc of Florida. 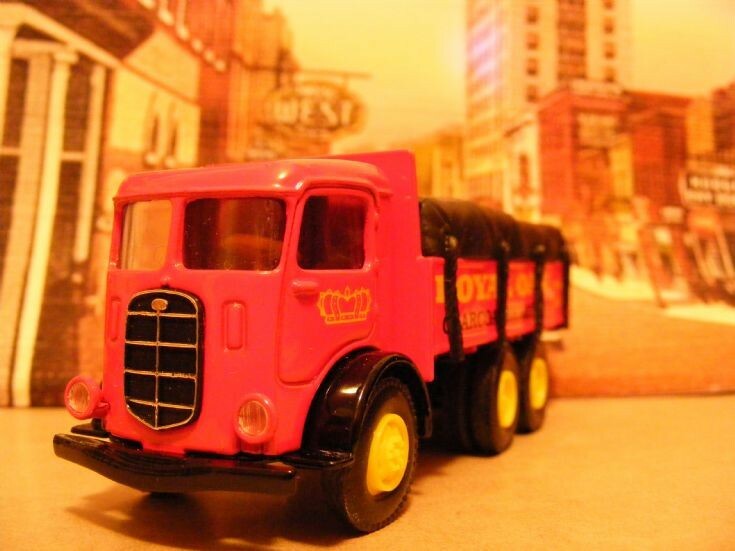 The trucks represented are originals and also the period truck liveries and corporations are accurate to the period of the vehicle. This is a Mack Model CJ from the mid 1930's in the livery of Royal Oak. Added by William Trembath on 06 April 2012.